Here at CUA, I have been blessed to take part in many different activities, and be a part of many different organizations. These organizations have all been a part of my family It is because of the members that I have stayed in all these different groups. I will be completly honest. I almost left Esto Vir after my freshman year, thinking it wasn’t for me because I had my issues with the leadership, and thought everyone who was in charge was like that. What kept me? People like Ryan Gebhart (even though I didn’t know him that well at the time) or Chris Anderson. People like Jimmy Kimmel and and Kieran Kelly. People who had truly become something that we all strive for, and something that Esto Vir is based on: Brotherhood. It is these because of these friends, nay, these brothers that I stayed in Esto Vir. 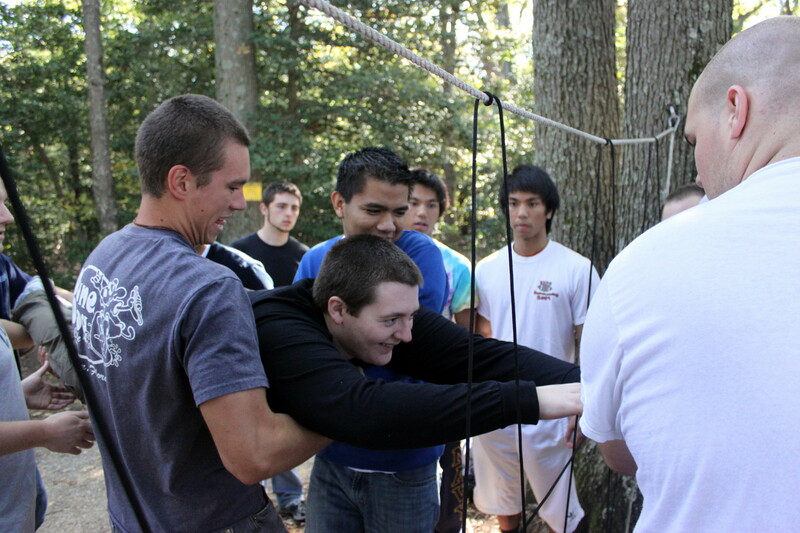 My Brothers in Esto Vir carrying me through the ropes course on a brotherhood weekend. The Knights of Columbus, on the other hand, doesn’t strive for brotherhood, but fraternity. It is with the knights as well that I found brothers. People like Drew, and Alex. People like Tim and Ryan. Father Frank has always been there when needed (Thanks again for that ride home from Providence Father!) People like Tim and Brett, like Victor, Ajani, and Andrew. It was with these great group of guys that I was able to liturgy-geek it out all the time. These Groups have also been found in other places. It was through RENEW that I became great friends with a great group of people. Steve, Bridget, Nora, Marley, Kathleen, and (the ever occasional) Joe and Conor. It was with you all that I grew deeper in my faith, that I really started to expand my eyes and insight into the Gospel (when we actually read it) outside of my own small understanding. 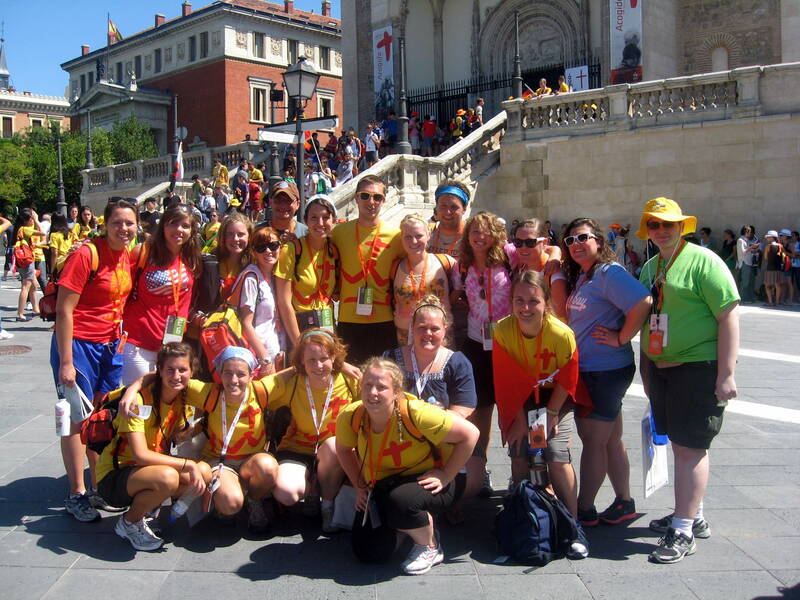 Last, but certanitly not least, out of all the groups I have been a part of here at Catholic, World Youth Day has certainly been one of the best. It was an ecclectic group of people, and everyone there clearly knew a few people, but not everyone, and we all turned into one big family through all of the trials we were put through, from our first flight being cancelled, to loosing our bags at JFK, and having to wear the same clothes, to the long days and hot nights of Madrid, we all got to know each other very well. I became great friends with some great people that trip, and being thrust back into CUA without the same people that I was living with for the past 2 weeks was rather weird. It is with these great groups that I developed my family, grew into great relationships, and will certainly miss every day I am not here.